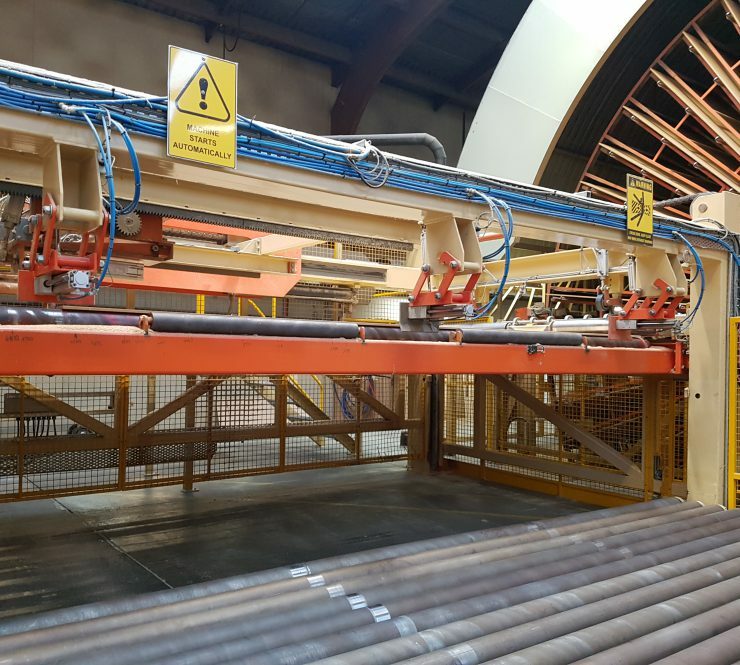 Nelson Pine Industries engaged Brightwater to design and supply a new outfeed stacking deck for their line 1 MDF press to handle larger pack sizes. 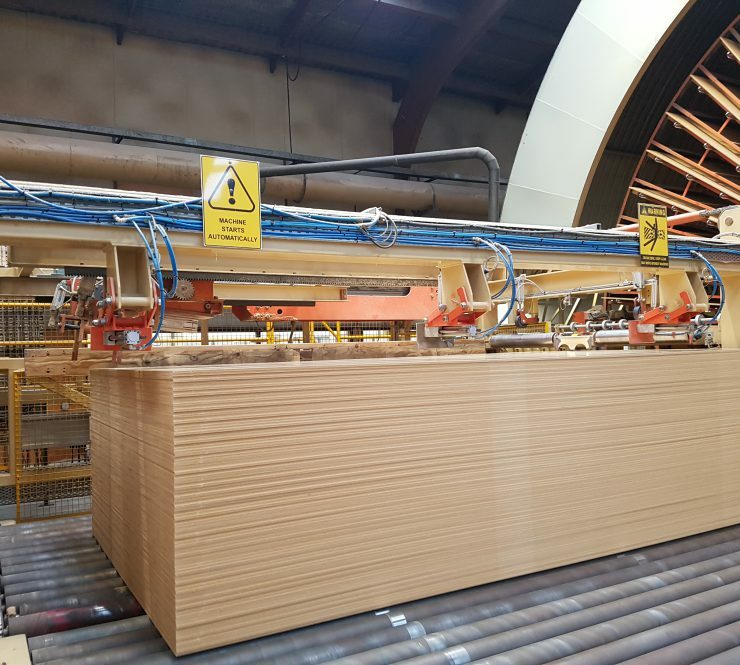 The MDF press produces a range of MDF products in different thicknesses and sizes and the finished sheets must be stacked, squared and fed out without any slowing or stopping of the press. Due to space constraints and the requirement to handle the larger pack size the stacking deck design had to be completely different to the existing stacking deck. The new stacking deck that was designed included automated variable side alignment rams to allow for board sizes ranging from 3m to 5.1m. A quick acting lifting deck driven off a single hydraulic ram able to raise and lower the deck within 6 seconds and driven outfeed decks capable of feeding out a complete pack within 10 seconds. The brief was to design a new stacking deck capable of handling board packs up to 1.35m thick which would reduce forklift movements on site. Brightwater achieved this with the design but also managed to produce a stacking deck significantly simpler in operation to the existing with fewer moving parts and which took up a smaller footprint on site. The quality of design meant the both the fabrication and installation went together smoothly with no rework required on site.